After three years of preparations for the entry of large BPO (business process outsourcing) companies in Ilocos Norte, one of the largest call centers across the globe is setting up a branch in the province. 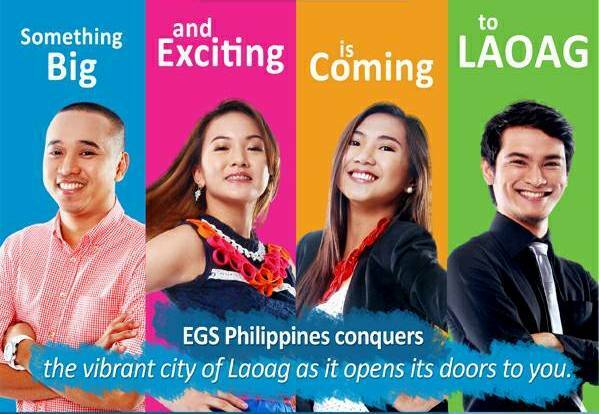 Expert Global Solutions (EGS) is expanding in Ilocos Norte, and is opening at least 600 jobs for call center agents and management personnel. The company offers a basic, entry-level monthly pay of P12,500 for call center agents and a sign-up bonus of P10,000. Employees who meet prescribed targets will also receive performance bonuses and incentives. Salaries for managerial posts start at P30,000. Applicants, who must at least have one year of college, only need to bring a resumé at the Ilocos Norte Centennial Arena’s i-Hub Center where recruitment is in full swing. Located in Laoag City, the arena is one of the sites being considered for the call center expected to open next year. While the offices are being constructed, successful applicants will undergo training, with pay, at EGS Clark, Pampanga. As much as possible, the company wants to hire Ilocos Norte residents for the job openings, although applicants from other provinces are also welcome. They are also encouraging Ilocanos working in their other branches to come home to the province. EGS is the holding company for two global leaders in business process outsourcing: NCO Financial Systems, which specializes in Accounts Receivable Management, and APAC Customer Services, which concentrates on Customer Relationship Management.